December 10, 1845: John Charles Fremont, Army Second Lieutenant of Topographical Engineers, arrives in Alta California with 60 armed men. They camp in Sutter’s Fort for a month. “Resting until late January, he then traveled to Monterey to call on the American consul, Thomas O. Larkin, and the Mexican Commandant, Don Jose Castro. 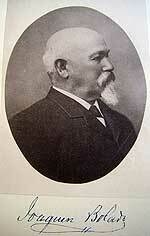 Fremont arrived at a time of internal tension, for Castro and the governor of California, Don Pio Pico, were at odds. In addition, the previous governor had been ousted earlier, and contacts outside California were virtually nonexistent. The presence of the well armed topographic party aroused Castro’s attention and suspicions about American intentions in California. He had reason to be concerned, for only a few years earlier an American naval force had temporarily occupied Monterey. Castro treated the American explorer with courtesy, giving him permission to resupply but not any written consent to stay in California. The topographer told Castro of his peaceful intent, and assured him that his party only carried weapons to hunt game and for protection against the Indians. His purpose for being in the area, Fremont explained, had to do with finding a shorter route to Oregon and other “scientific purposes,” but winter had caught him in the mountains. He told Castro he had come to Monterey seeking permission to set up a winter camp in the San Joaquin Valley. With Castro’s verbal approval for the Americans to stay for a while in the Sacramento Valley, Fremont moved his party to Laguna, a vacant ranch 13 miles southeast of San Jose, for refitting. During this period the main party rejoined the expedition. The courtesy extended to the expedition to remain in California dwindled as the Americans appeared to linger in the area. Fremont’s men appeared to get along well with the local Spanish speaking Californians, drawn by curiosity to visit the encampment. During these gatherings the Californians impressed Fremont and his colleagues with their fine horsemanship. Near the end of February Fremont moved his 60-man party southwest toward the settled Santa Clara valley. On 3 March they encamped on the Hartnell ranch [Alisal Rancho] near present-day Salinas, only 25 miles from Monterey. Two days later the disturbed Castro dispatched one of his cavalry officers with an ultimatum ordering the expedition to leave California.